Email remains the digital marketer's inbound standard, offering an ideal platform to reach vast numbers of prospective customers quickly and easily. Brafton email campaign management services are tailored to support content marketing campaigns, placing overarching commercial goals front and center. Utilizing leading industry technology and email marketing best practices, your Brafton team is on hand to ensure your email campaigns are efficient and effective, as well as quantifiable. We have the expertise to work with the email service technology of your choosing. 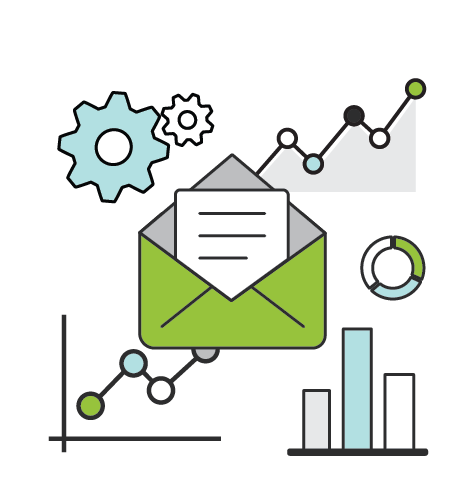 From lead-generating asset launches to drip campaigns to data analytics, Brafton provides a full-service email campaign management solution. 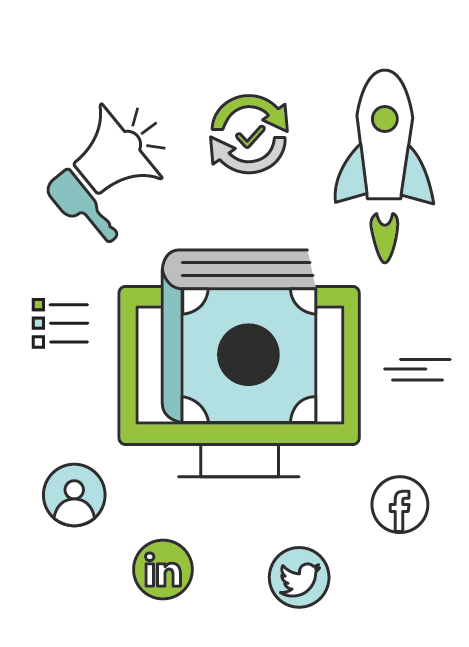 Content marketing assets, such as eBooks and white papers, are ideal lead generation tools. Not only do these assets provide a chance to collect prospective customer information, they help establish thought leadership on your behalf, generate brand awareness and provide promotional opportunities across a wide range of channels, including social media. Email represents an excellent channel for ensuring your assets reach your prospective customers and serve their commercial functions. Working on your behalf, Brafton can create the initial bulk email content that will be sent to your database of recipients, making sure links to dedicated conversion landing pages are included. Using proven content creation best practices and email user experience design expertise, Brafton writers are able to craft email content that grabs readers’ attention and holds on to it. 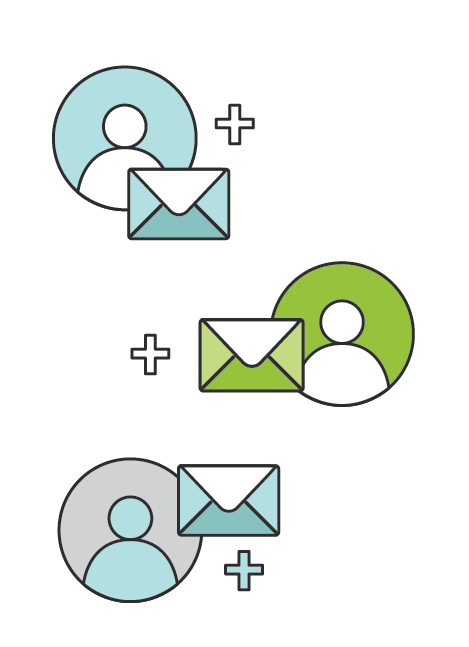 Additionally, your Brafton team can ensure emails are synced with your customer relationship management software to log converted prospects. With years of industry and technological experience, the Brafton team can handle all coordination of asset launch efforts, including the inclusion of automatic responses and utilizing strong subject line and sender email addresses. By attaching a specific workflow to a download, you can ensure high open rates, downloads, and customized thank you messages triggered and automatically sent after a download has been completed. Your first interaction with a prospective customer is only the first step in the buyer journey. Whether you’re launching a downloadable asset or onboarding a new email subscriber, it’s essential to set up a series of touchpoints to routinely and automatically engage with prospects afterward. 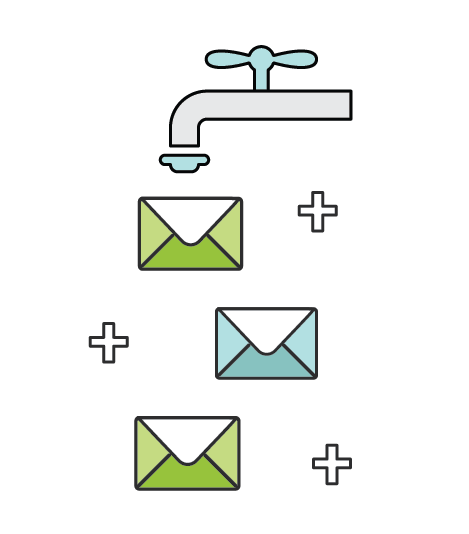 Through email automation, Brafton can provide email drip campaign services to ensure your brand remains top of mind among prospects. Continue to deliver valuable content marketing that is relevant to prospects’ initial interactions with your business, all without overwhelming the potential customer with overly aggressive, unrelated follow-ups. Effective email nurturing efforts go well beyond asset downloads and drip campaigns. Your Brafton team can help you segment your prospect lists into different levels of engagement and qualification, allowing you to zero in on exactly which type of content marketing best suits each segment, as well as when and how you should engage specific audiences. Segmentation will be based on factors like a person’s business, their job role, how much they have engaged with your content in the past, and so on. From there, it’s vital to determine the type of content to send each group of prospects, ensuring it is unique and, above all, relevant to their wants and needs. Arguably the most important part of email campaign management service is the analysis of campaign data. Detailed analytics allow you to learn from past successes and make corrective actions when necessary. Brafton content marketing strategists can work with your team to data-mine every email, identifying trends and providing expert advice on why, when and how to make adjustments.